Printed Tapered Pants Toscana. These printed tapered pants are a smart choice for looking casual in statement pants. Black and white patterned trousers designed with abstract dots. Constructed with side pockets, elasticized waist and adjustable drawstring tie. Printed tapered pants include brass ankle zippers on both legs. 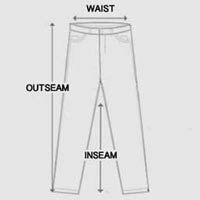 Low crotch pants made from smooth cotton blend with slight stretch. Bold trousers pair great with solid tees and neutral button-downs. A sharp way to pull off printed tapered pants finished with an ankle slimming cut.